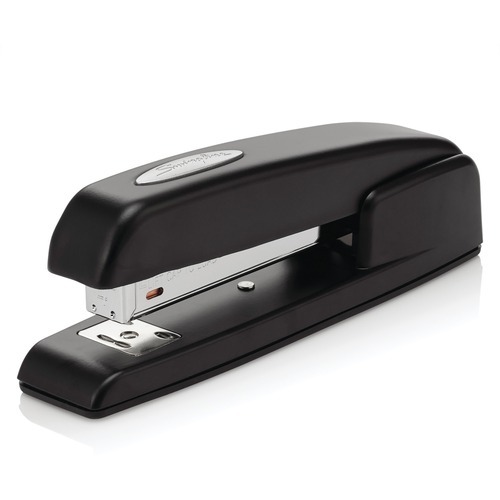 • Stapler fastens up to 20 sheets, creates a yawning fissure for tacking flexibility and features an antimicrobial finish. • The performance-driven mechanism has an inner rail for long-term stapling integrity. • Positive locking latch ensures the confidence and control of a secure stapling position. • All-metal, die-cast base offers durability and stability. Design also features a contoured cap and padded rubber bottom for comfortable, convenient handheld stapling. 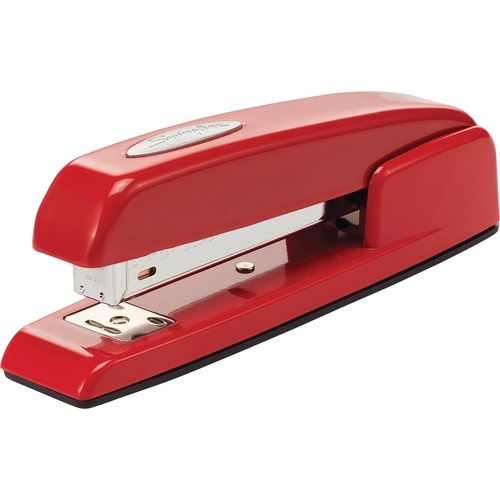 • High-quality, durable desktop stapler belongs in every office worker's set of desktop tools. • Contemporary, rounded metal stapler fastens up to 20 sheets and The upper portion retracts like a viper for tacking flexibility so you can easily tack up flyers and posters. • Enhanced for stability, the 747 Business Stapler includes an inner rail that prevents staples from jamming and a positive locking latch to increase precision positioning of each staple. • All-metal, die-cast base offers durability and stability. • Design also features a contoured cap and padded rubber bottom for comfortable, convenient handheld stapling. 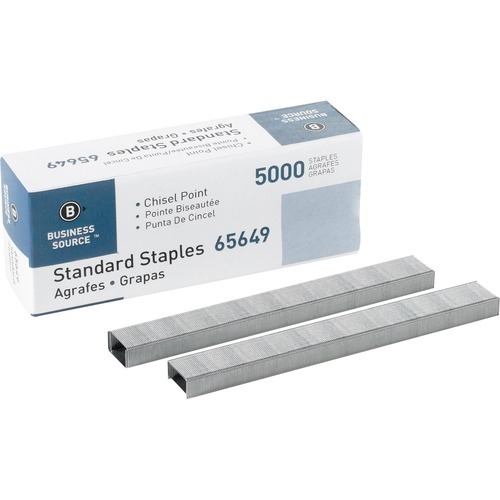 • Use chisel point staples for efficient and dependable performance in stapling machines that use standard staples. 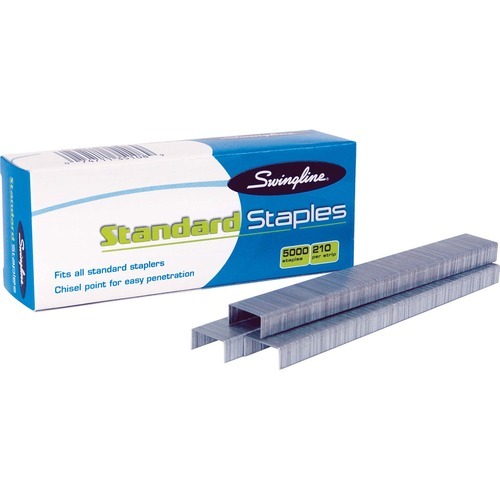 • Staples fit all standard staplers. Crown measures 1/2" wide. • The leg length is 1/4". Each staple fastens up to 30 sheets and is made of galvanized iron wire. • Staples come in strips of 210. • Stapler offers ergonomic stand-up design that takes up less desk space than conventional desktop staplers. • Rotating anvil allows stapling and pinning. • Design also features comfort hand grips and all-metal working parts. • Stapler fastens up to 20 sheets of 20 lb. paper using standard staples. • Staple capacity is 210 staples.